Son of Arthur Rawlinson and Eliza Jane Heap of Burnley. 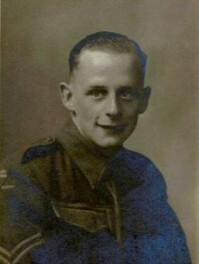 He was a Sergeants in the RASC missing at Salerno and buried in Bari Cemetery, Italy. Jack Rawlinson's job was to draw the maps that would be needed for the invasion but unfortunately the ship he was on struck a mine. Jacks fiancée Eleanor Bell. She was a sergeant in the Royal Army Service Corps.